Home financing may be getting easier for homebuyers. One of the mortgage companies here in the Tampa Bay area that I’ve been working with is Caliber Home Loans. They are a portfolio lender that adheres to all standard loan program guidelines but also has portfolio programs with more lenient credit qualifying guidelines to meet more buyers’ needs. While I don’t work with or endorse only one lender, I thought some of their programs were worth sharing. 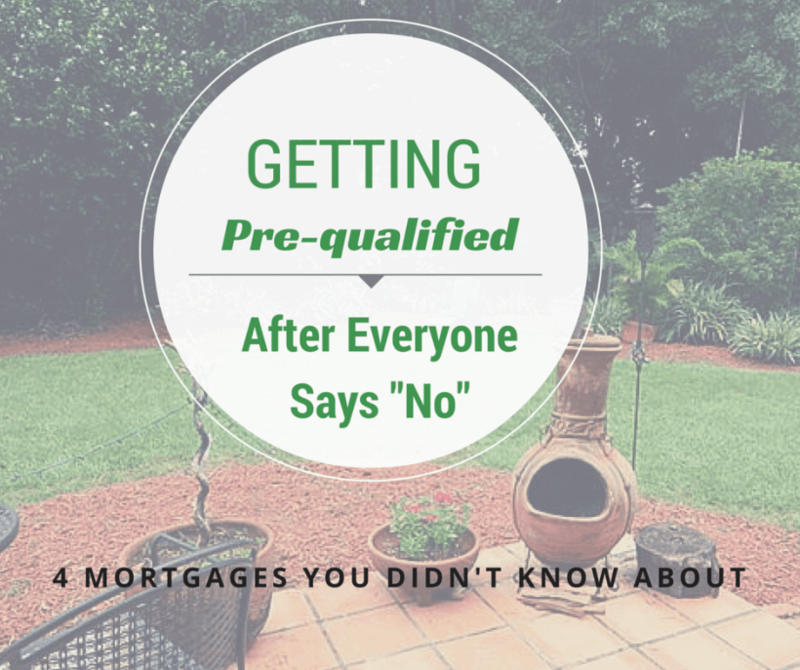 If it has been a while since you last checked to see if you could qualify for a loan, you may see guidelines have become a little less stringent, especially if you are self-employed or have a gone through a short sale, foreclosure or bankruptcy. At one time, 40 percent of the homes on the market in the Tampa Bay area were distressed homes. Those previous homeowners are now renting and are dreaming of home ownership again. Self-employed people are allowed to write off expenses on their tax returns; this reduces their income, and in turn they pay fewer taxes. That’s a good thing, right? It’s good for your taxes, but not so good if you are trying to purchase a home. Mortgage lenders have to use the income that you report to the government to qualify you for financing. They have programs that allow up to 60 percent of your income to be used for qualifying for a home loan. Most other lenders only use up to 43 percent of your income. They also allow assets and stock ownership to be used to calculate income. Fresh Start allows you to buy now while home prices are still low and rates are, too. This type of loan allows financing for buyers who have had a recent, major credit event. You can even get financing one day after the event was resolved. With only 5 percent down. Most other lenders require a minimum of 20 percent down. In addition, clients who put 10 percent down may be able to finance a condo with a limited condo review for easier processing (warrantable condo projects only). Do you know anyone who wants to buy, but just doesn’t have the money to do so? First-time buyers may be limited on the amount of money they can pull together for a down payment and/or closing costs. There are several county and state programs available to first-time buyers as long as they meet income requirements. The best program is through Florida Housing and is a state-sponsored program. Hillsborough: max income limit is $82,600, and $15,000 is available. Pinellas: two can earn $62,282 and four can earn $70,800, and $7,500 is available. Buyers are required to take a Home Buyer Training class. A 640 credit score is required. A buyer can use FHA, VA or conventional financing. A basis point increase as low as 50 could result in a six percent increase in monthly payments on new mortgages, some economists predict. And even such a small interest-rate increase could also trigger as much as a 7 percent rejection rate of mortgage applications. If you are interested in finding out more about loans available to you, or to inquire about getting prequalified for these unique mortgage loans, feel free to contact us here. Rae is very professional in the manner in which she conducts herself. She knows her Real Estate and Internet Business as well. I will definitely recommend Rae to anyone looking for the cutting edge and the Latest Updates on Business. Oh yes, very Personable too!